Monticello attended the DerivCon 2019 Conference in NYC this quarter, where important industry topics were discussed, including SEF rule changes, IBOR benchmark reform, along with harmonization efforts for SEC and CFTC regulatory rules. 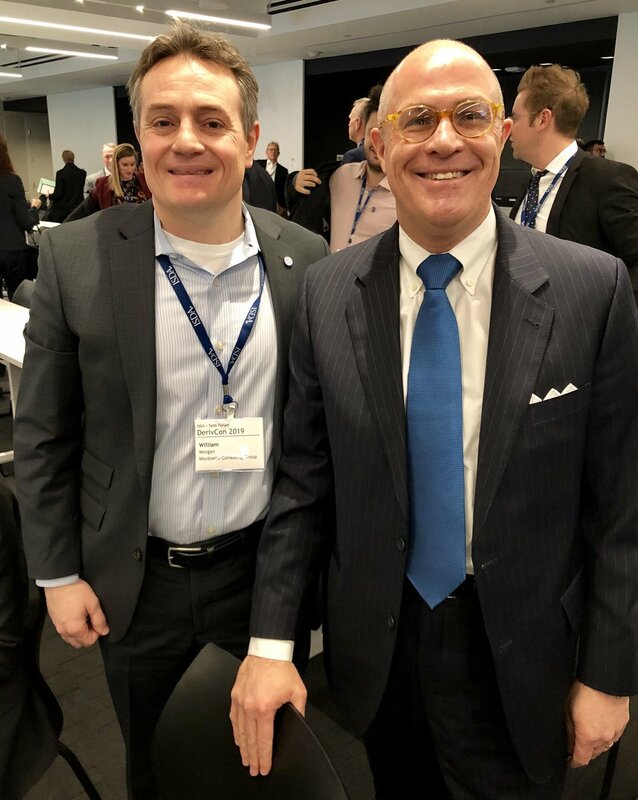 The keynote speech was delivered by CFTC Chairman J. Christopher Giancarlo, seen here with Monticello’s CEO, Will Morgan. Chairman Giancarlo’s address announced the commission’s work with the UK government and its regulators to provide a “bridge over Brexit for US / UK swaps markets” to ensure continuity of trading and clearing activities during and after a Brexit event, regardless of the outcome of the UK leaving the EU. Chairman Giancarlo also provided important insight to the new proposed rules for trading on Swap Execution Facilities (SEF) that could address some of the shortcomings and challenges with the existing rules.